Wearing third-hand bell bottoms from the ‘70’s, reusing soda cans and giving your kid a paper plane for a birthday present are good ways to save money, but they aren’t a good “look”. You shouldn’t judge a book by its cover. That being said, a book is a lot more pleasant to judge with a beautiful cover. Solar is no different. Obviously, PowerLutions Solar will install the best producing solar system possible, but looks matter. A well designed and installed system is important and using sleek black panels, with aesthetics in mind, has the added benefit of looking good while you save money. Since solar panels are fast becoming a standard fixture on homes it’s important to make sure the solar installation is done with care and style. 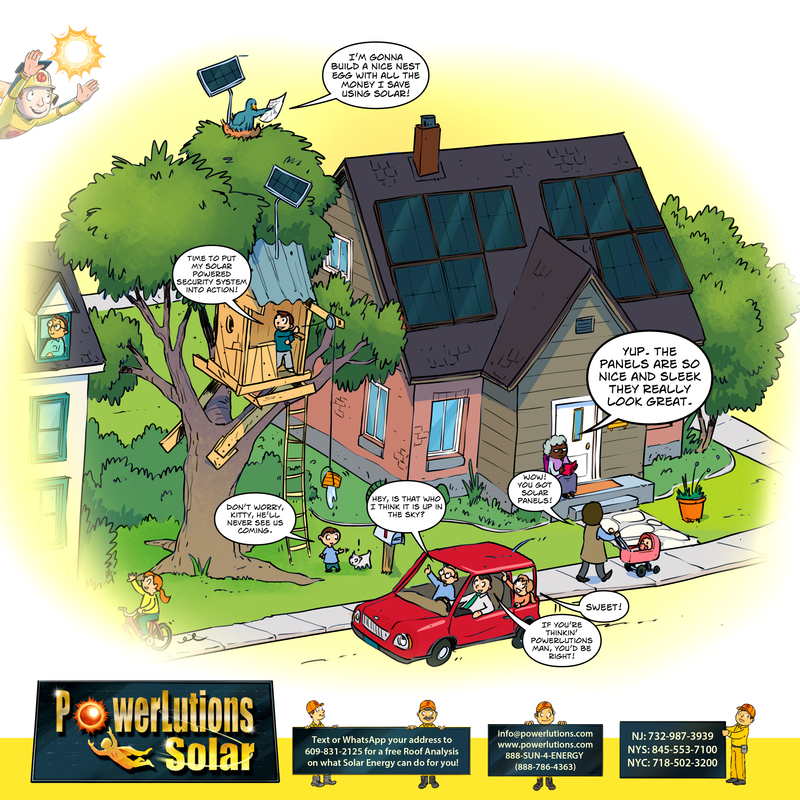 PowerLutions Solar installs the system with care to detail and uses black panels that look good on your roof.